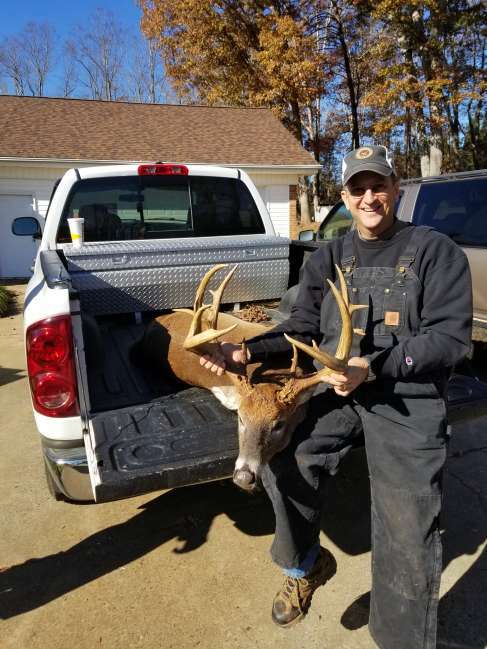 17 Pointer harvested opening day of gun season, November 16, 2018. Seen several times over the summer and was chasing a doe in the pasture the day before gun season. Quickly put up tree stand at dusk on the 15th. Returned early Saturday morning and he was on a quest to find more does as he passed by.